VIENNA (Sputnik) — It is possible to denuclearize the Korean Peninsula using political and diplomatic means, but not by an analogy with the solution of the Iranian nuclear problem, the director of the Russian Foreign Ministry's department for arms control, Mikhail Ulyanov, told Sputnik on Friday. "The Iranian example showed that there is a real possibility to resolve even the most difficult issues through political and diplomatic means, if there is, firstly, a political will, and secondly, enough creativity for that," Ulyanov said. Ulyanov noted that the situation on the Korean Peninsula was significantly different from the one around Iran's nuclear program, so it is impossible to fully copy the resolution process. "But I'm talking about fundamental approaches that should be centered around political and diplomatic efforts and not around bellicose rhetoric and large-scale military maneuvers, and not only around sanctions," Ulyanov added. The Joint Comprehensive Plan of Action (JCPOA) was signed by Iran and the P5+1 countries – China, France, Russia, the United Kingdom and the United States plus Germany in July 2015, ensuring the peaceful nature of the Iranian nuclear program in return for the gradual lifting of sanctions against Tehran. The deal came into force on January 16, 2016, after the International Atomic Energy Agency (IAEA) confirmed that Iran was ready to implement the program to reduce its nuclear potential. North Korea declared itself a nuclear power in 2005. The United States, Japan and South Korea, as well as Russia and China, took part in talks with North Korea on the denuclearization of the Korean peninsula between 2003 and 2009, when Pyongyang withdrew from the talks. 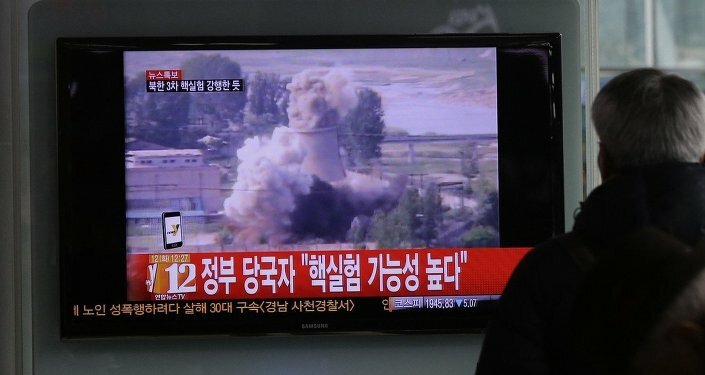 Tensions around North Korea's activities with both nuclear and non-nuclear weapons have drastically escalated in recent months, after Pyongyang conducted a number of nuclear tests and ballistic missile launches in violation of the UN Security Council's resolutions.